Impeccably renovated apartment for sale in Poble Sec, with abundant natural light and very stylish interiors with high quality finishes. 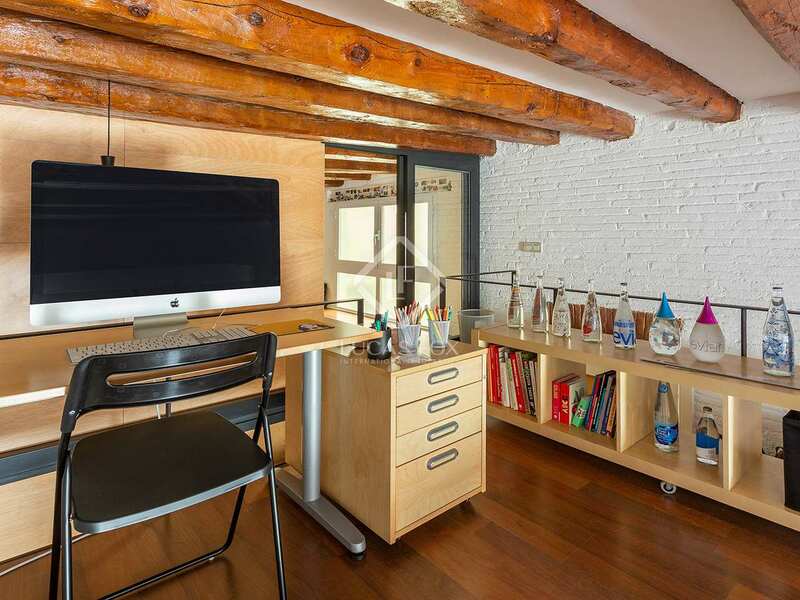 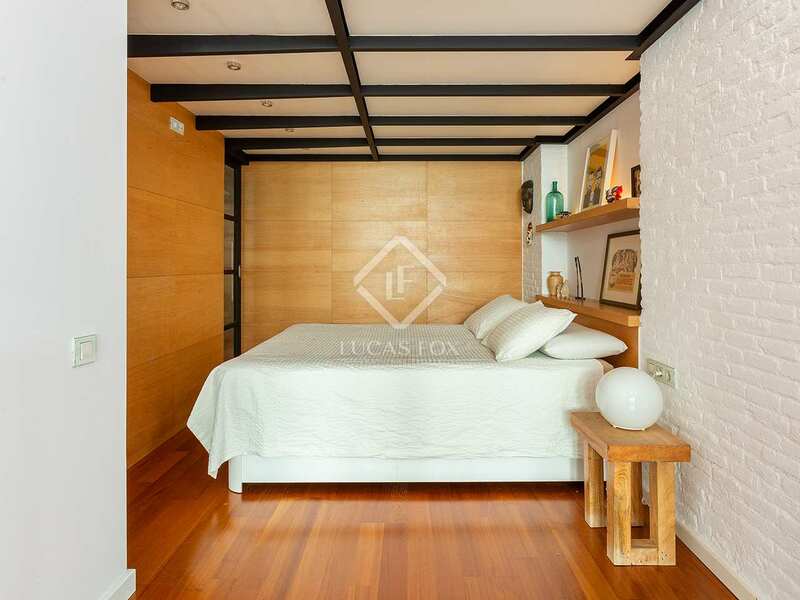 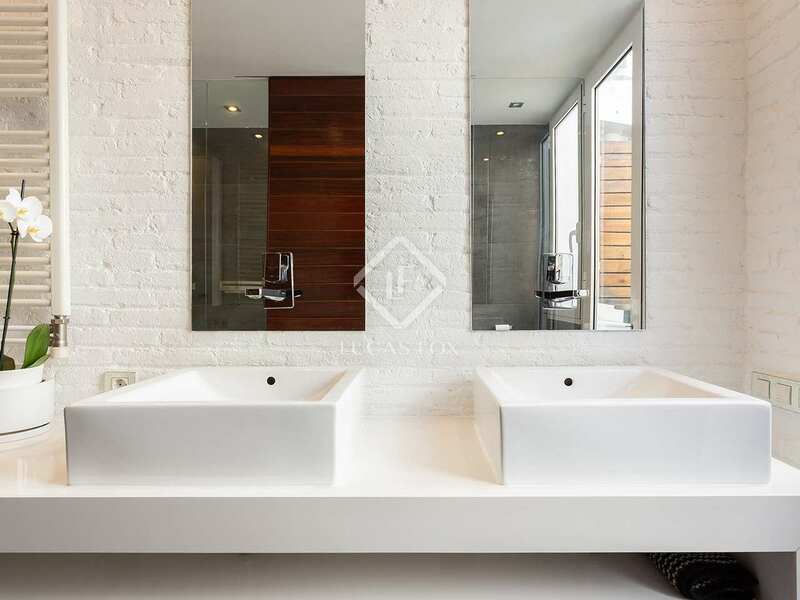 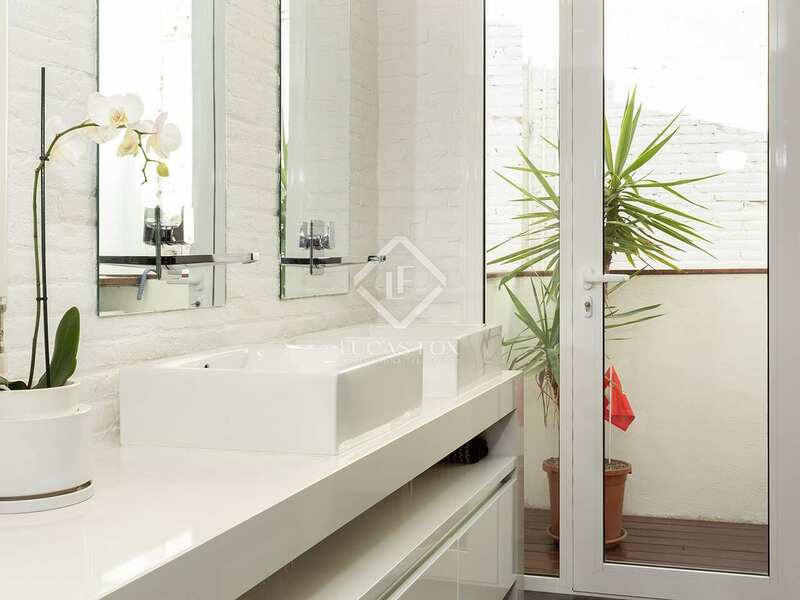 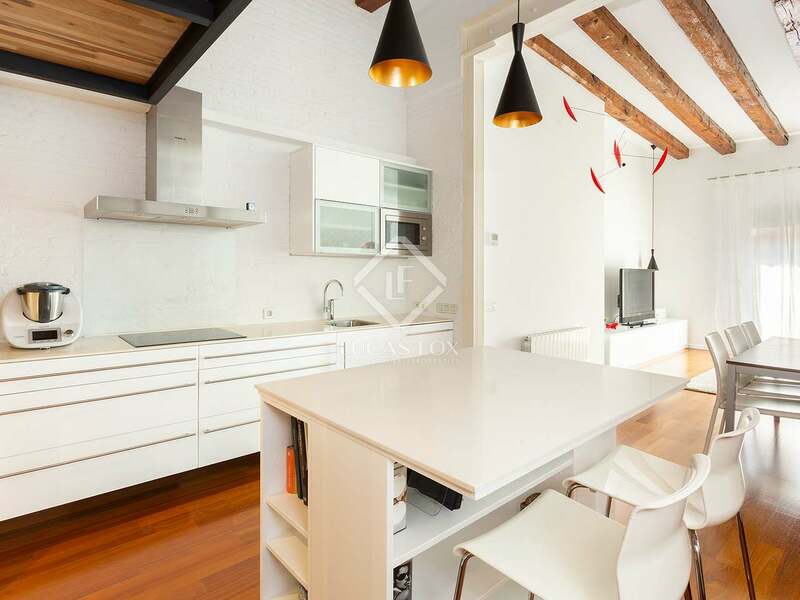 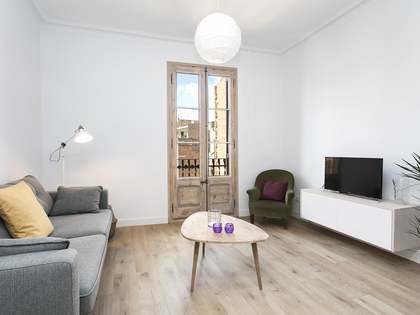 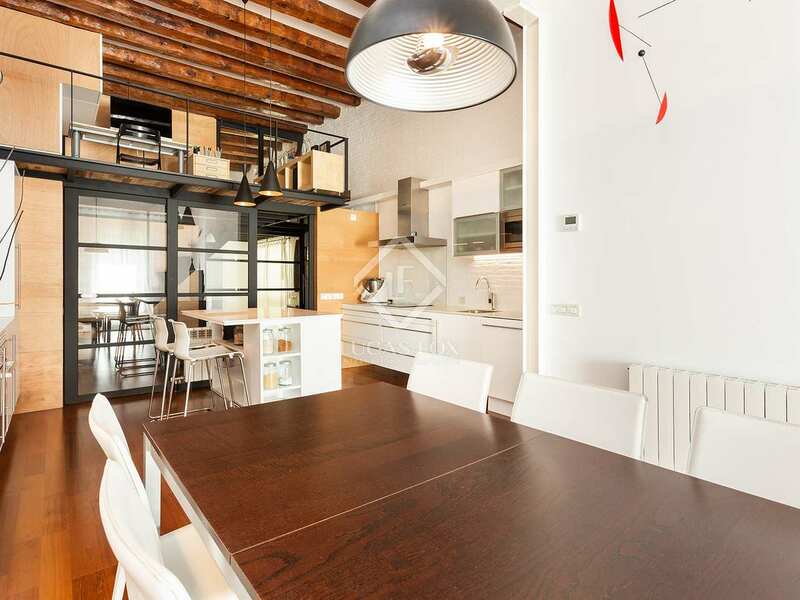 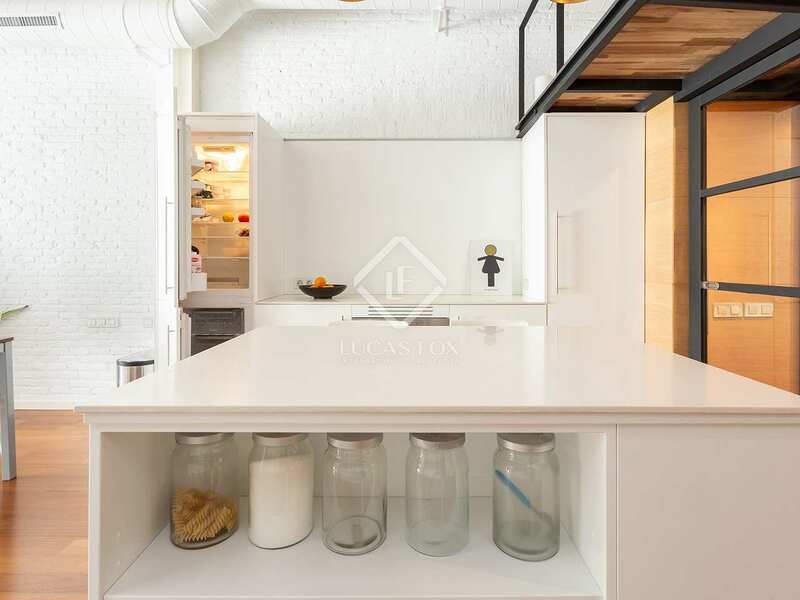 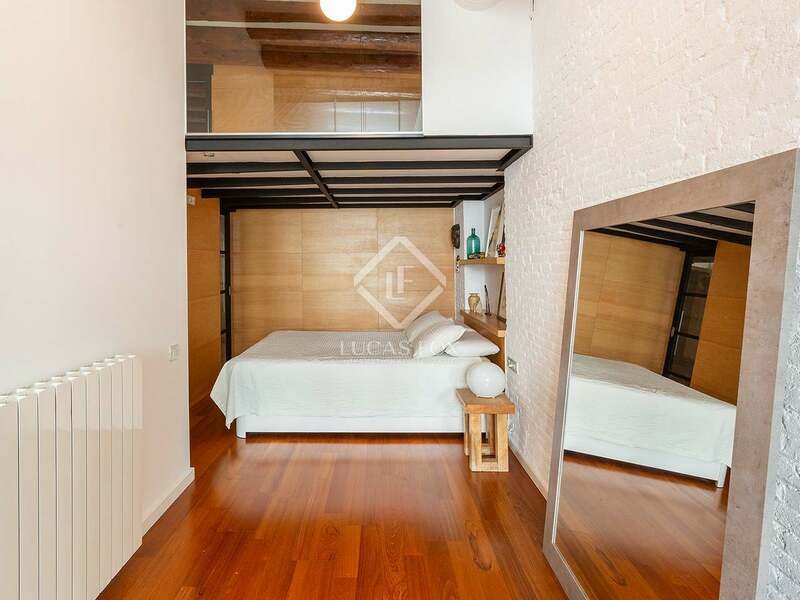 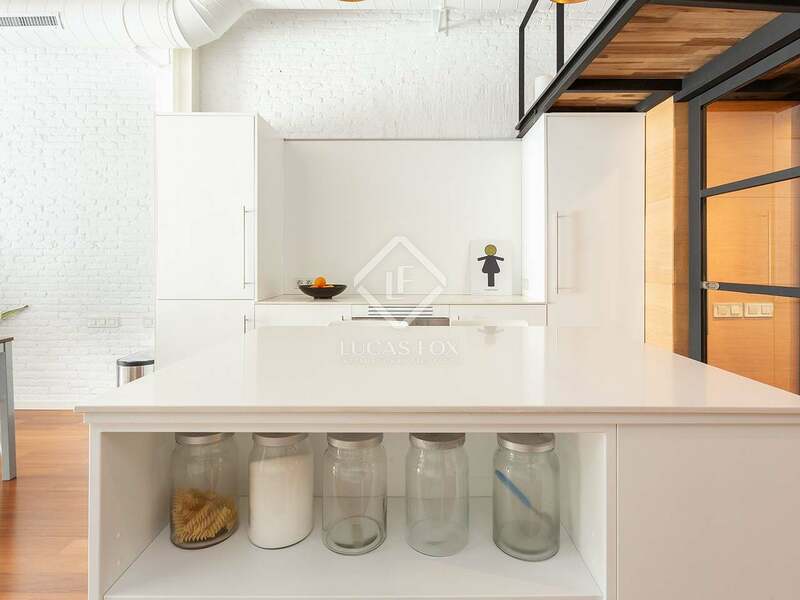 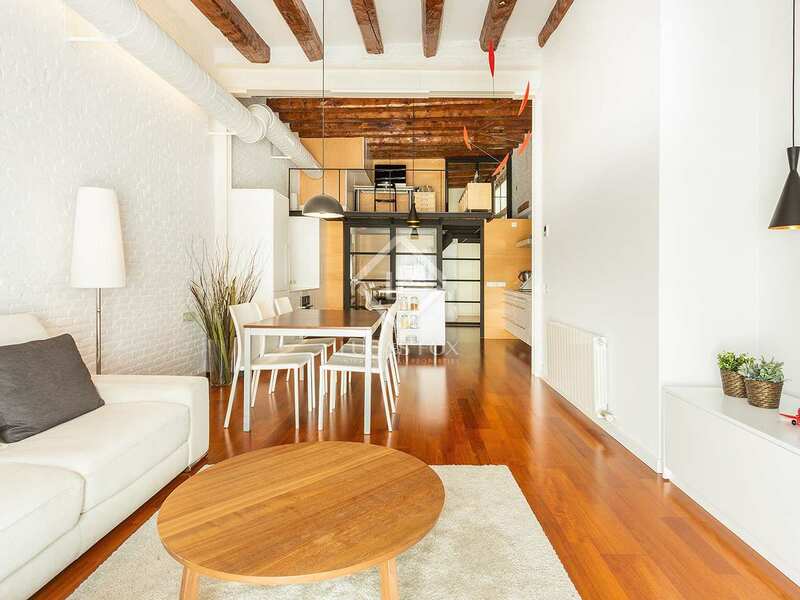 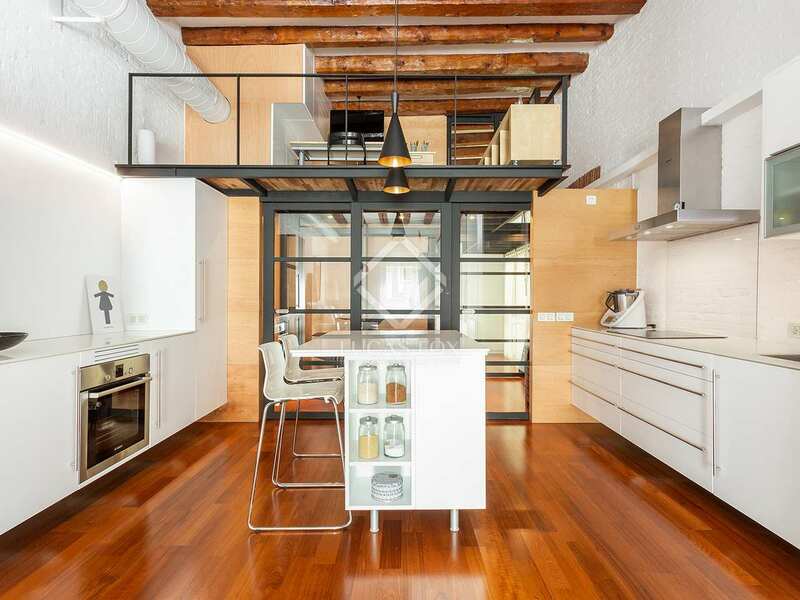 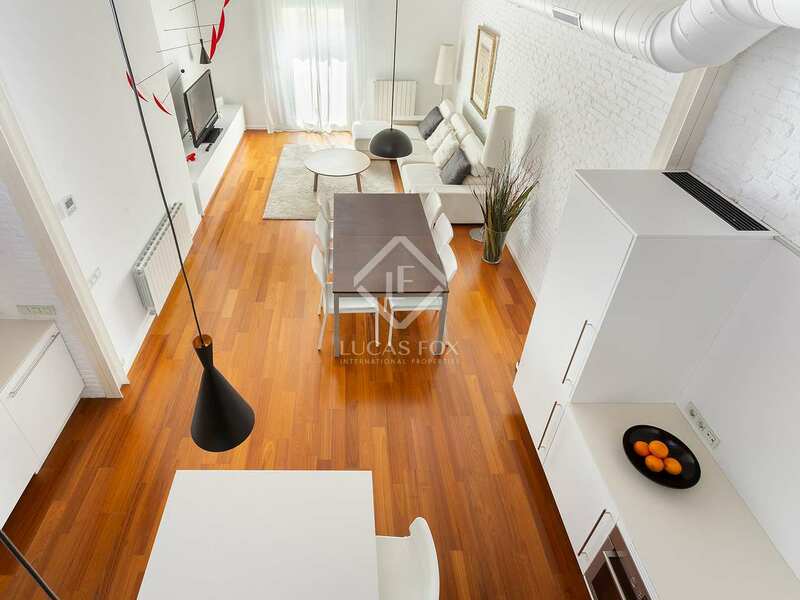 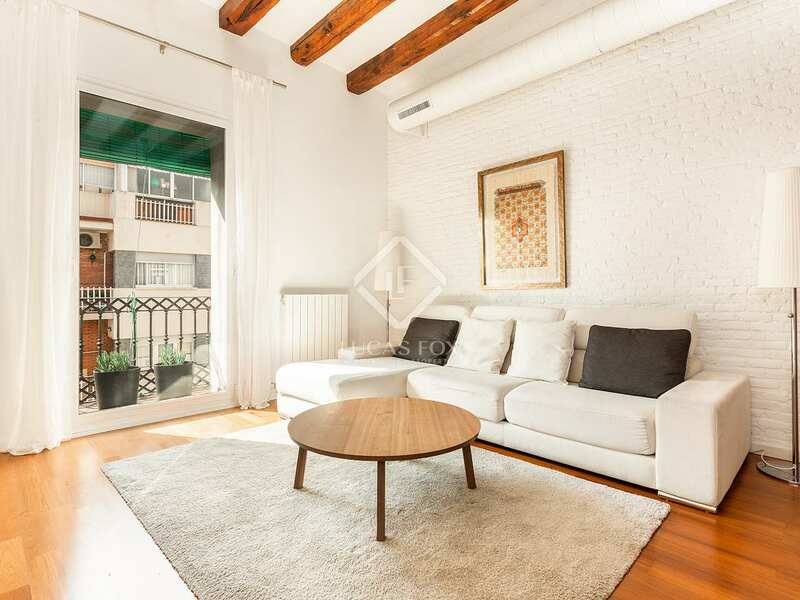 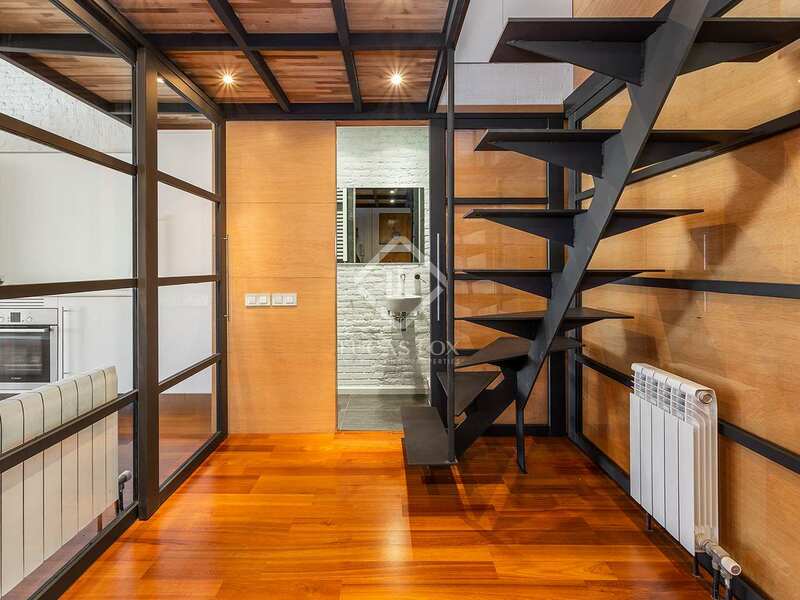 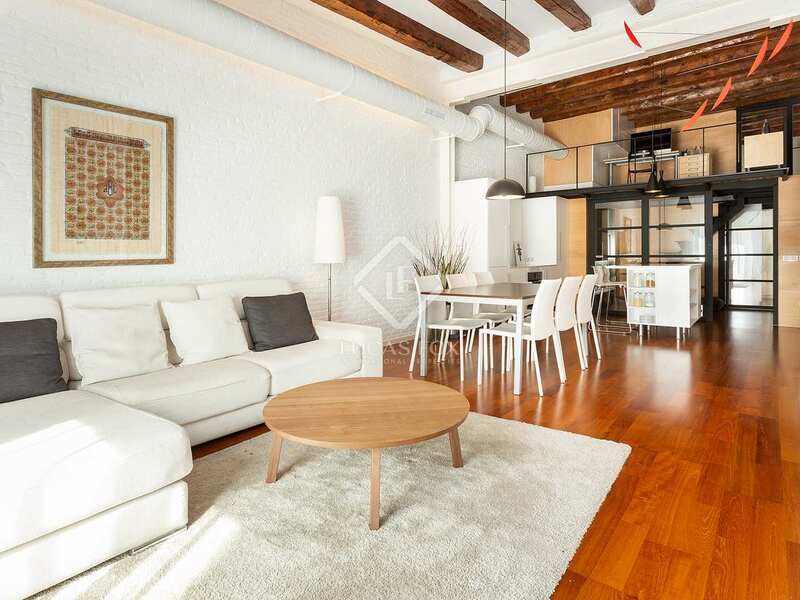 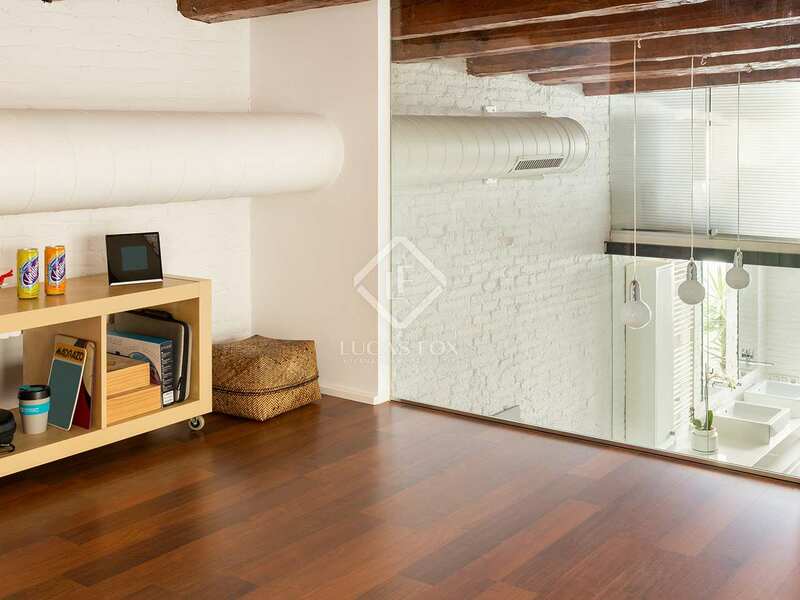 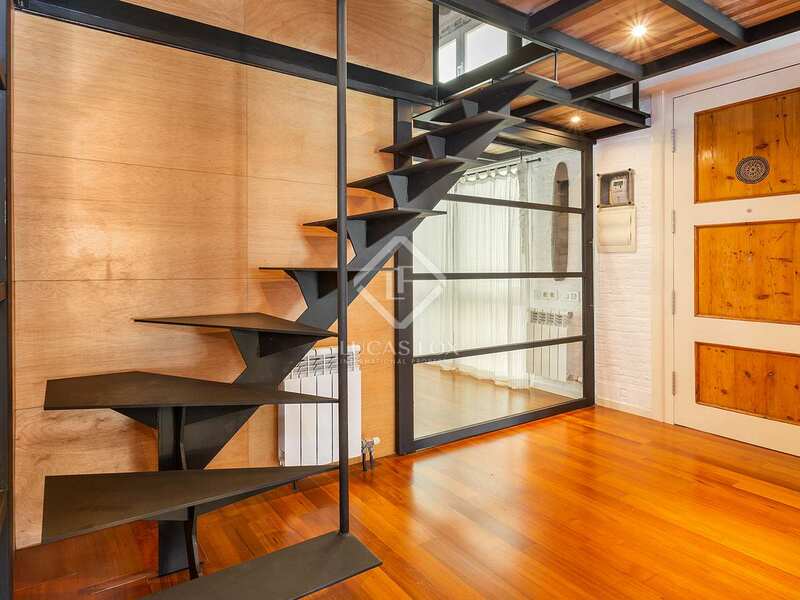 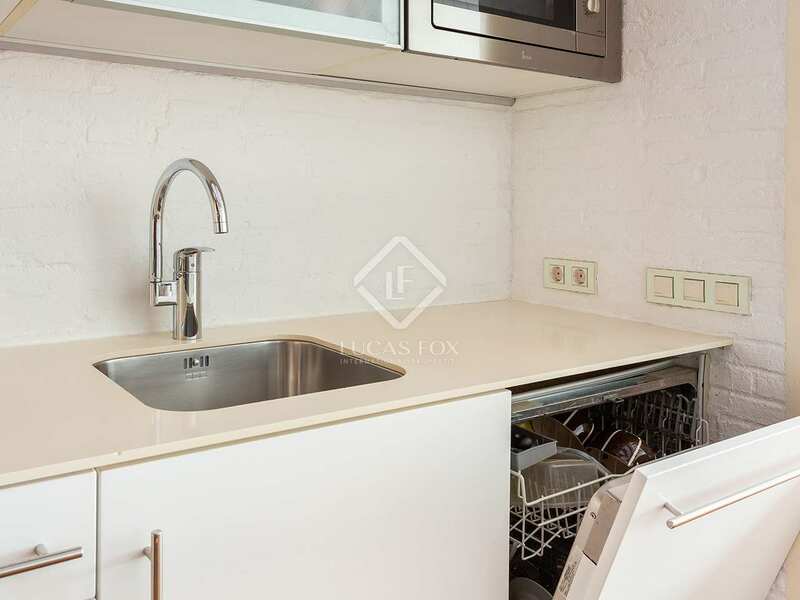 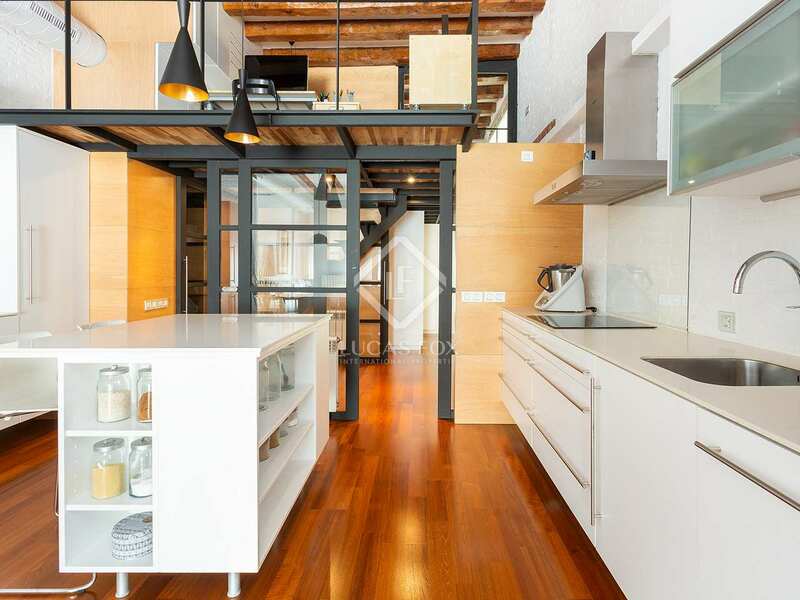 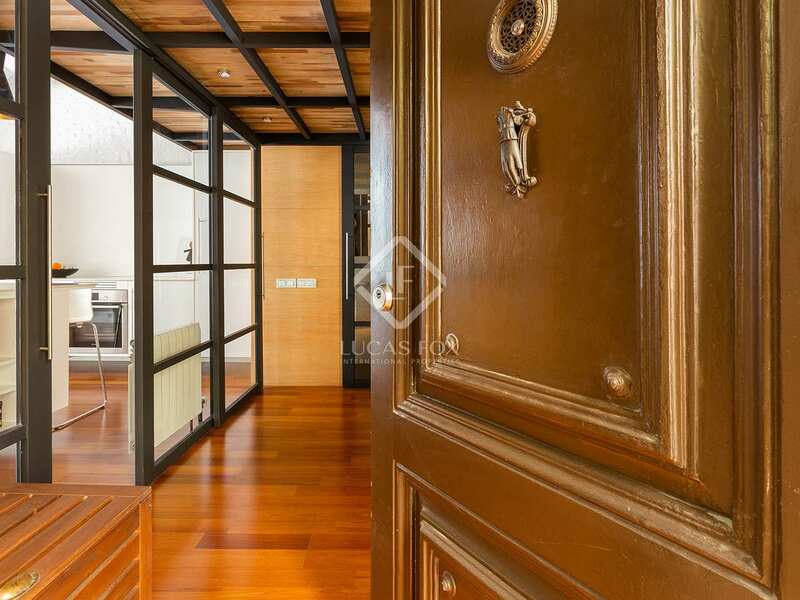 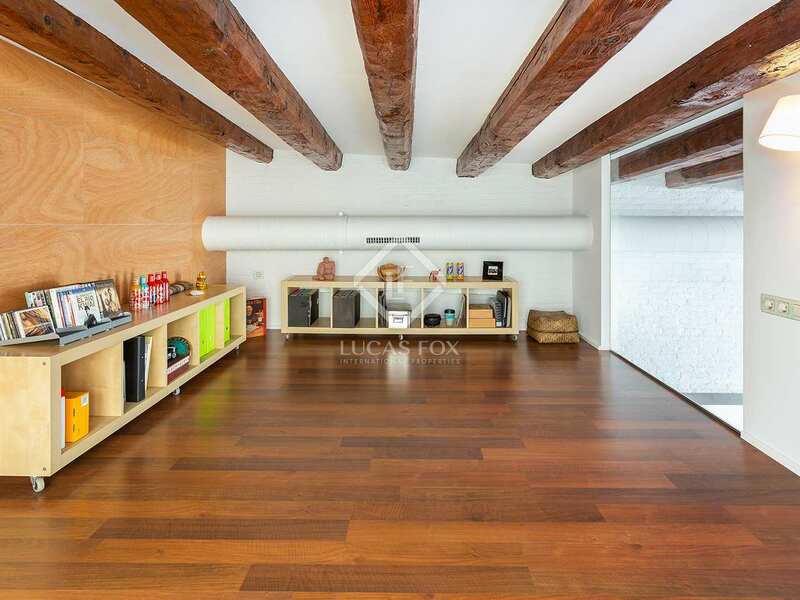 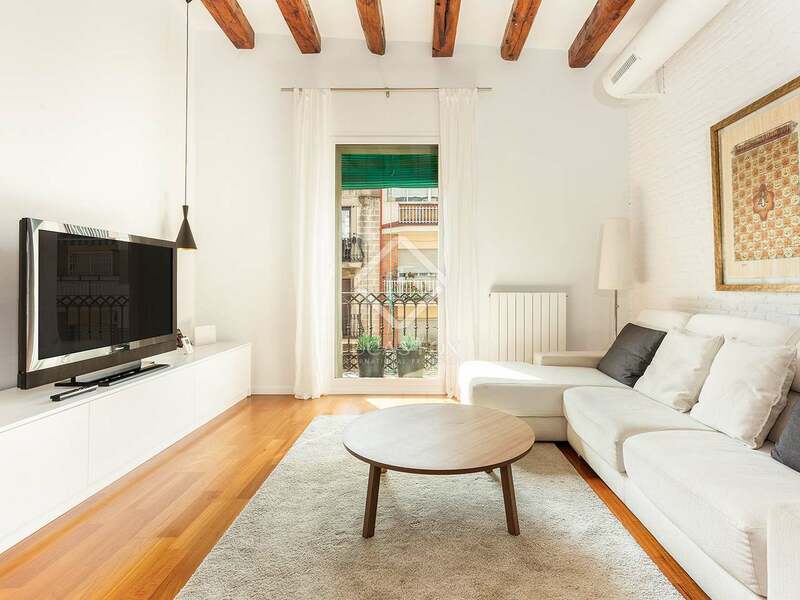 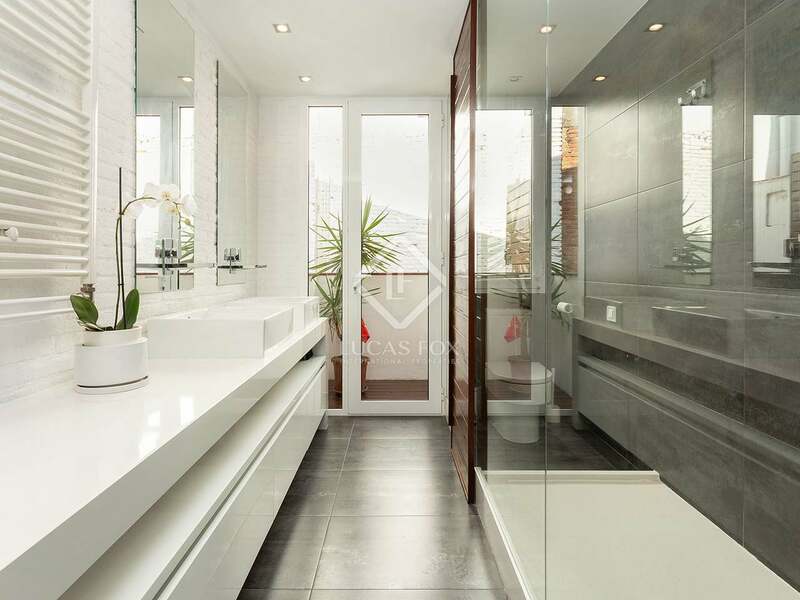 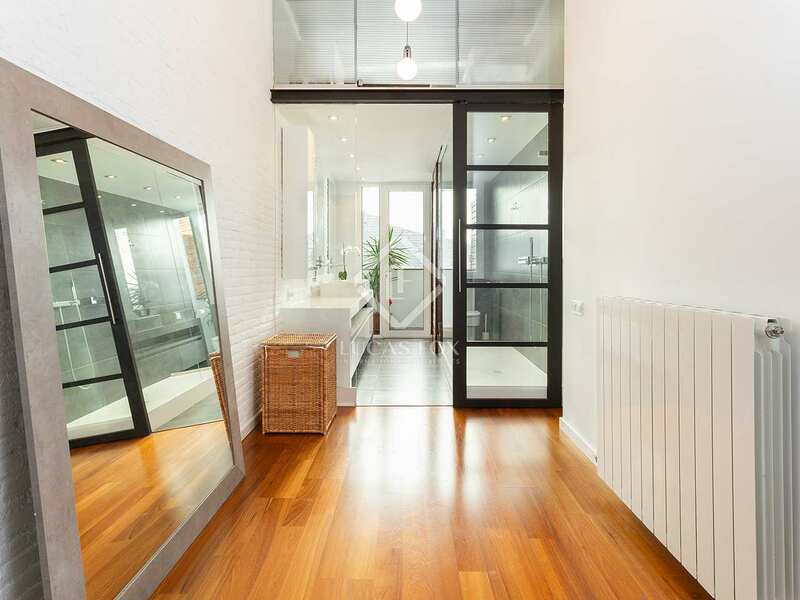 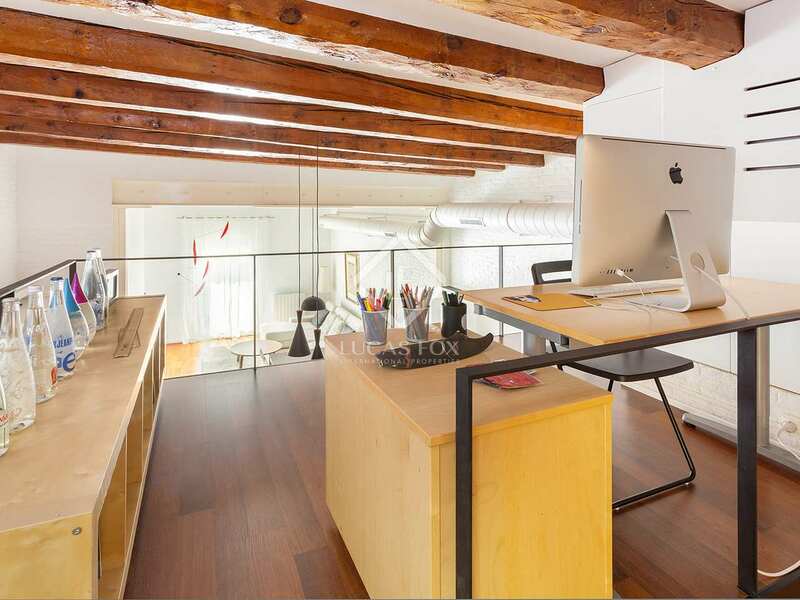 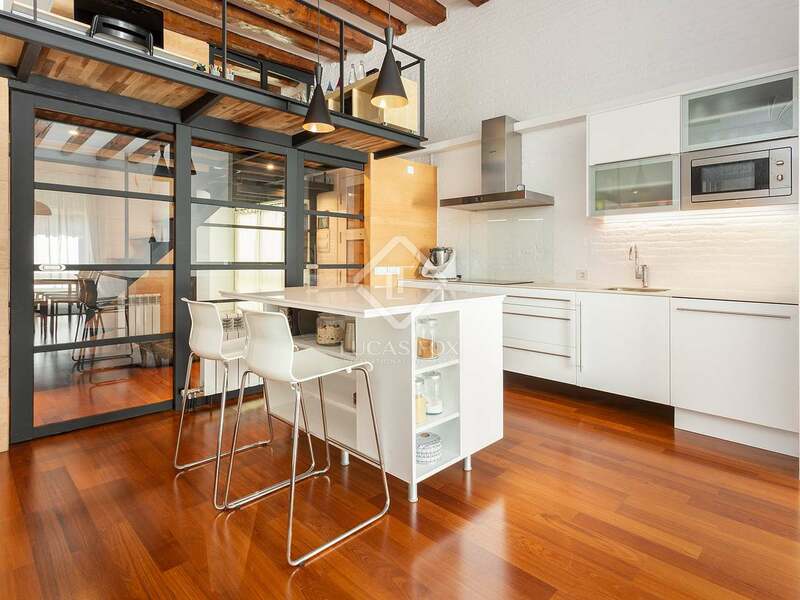 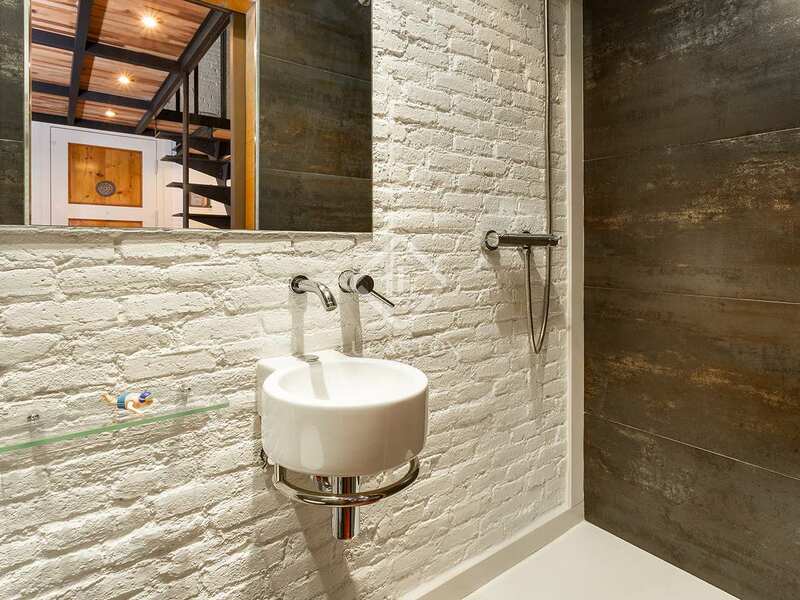 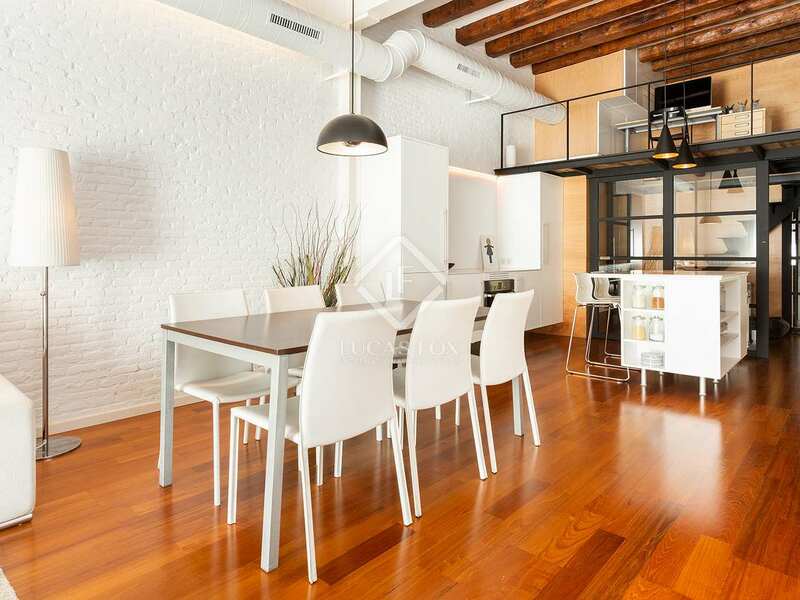 This apartment in Poble Sec has been fully renovated and measures 80 m² plus a 50 m² mezzanine. 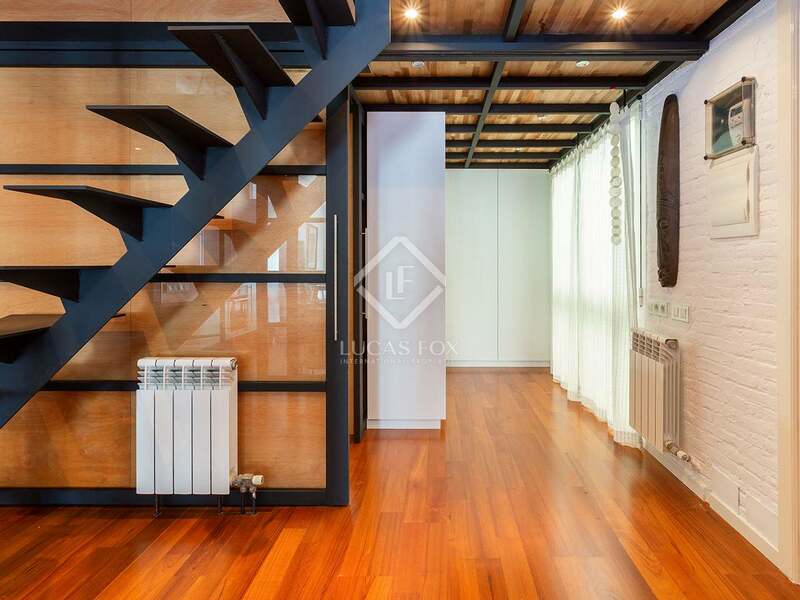 It has been beautifully designed with wooden floors, air conditioning and heating. 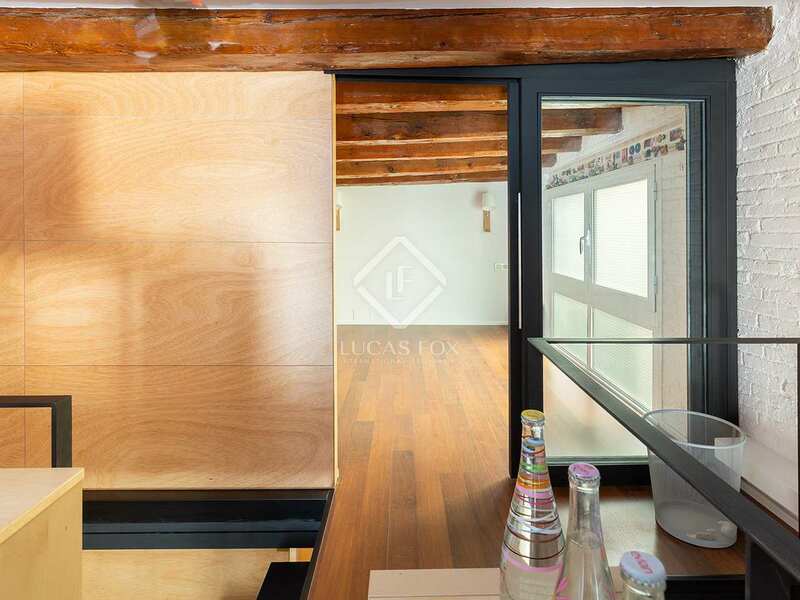 It is found on the fourth floor of the building with a lift. 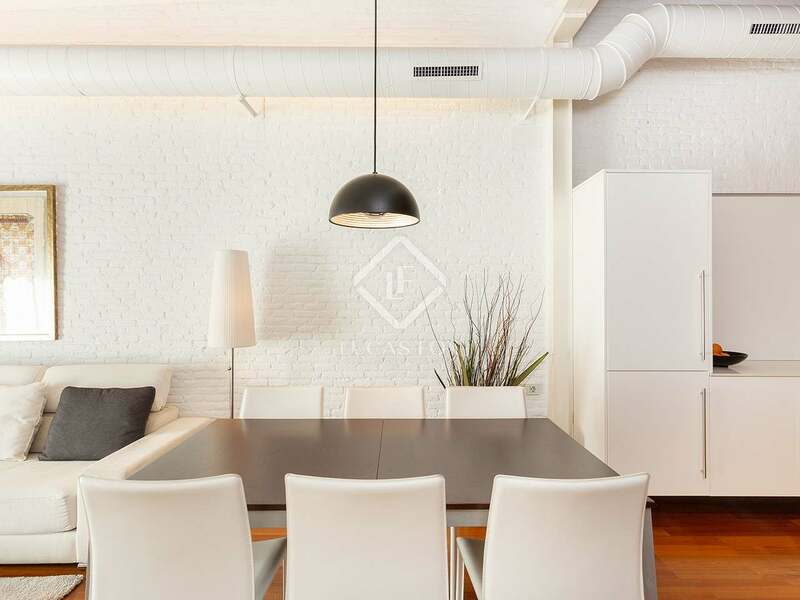 The layout consists of a large, bright living room – dining room with a balcony overlooking the street at one end and an open kitchen at the other end. 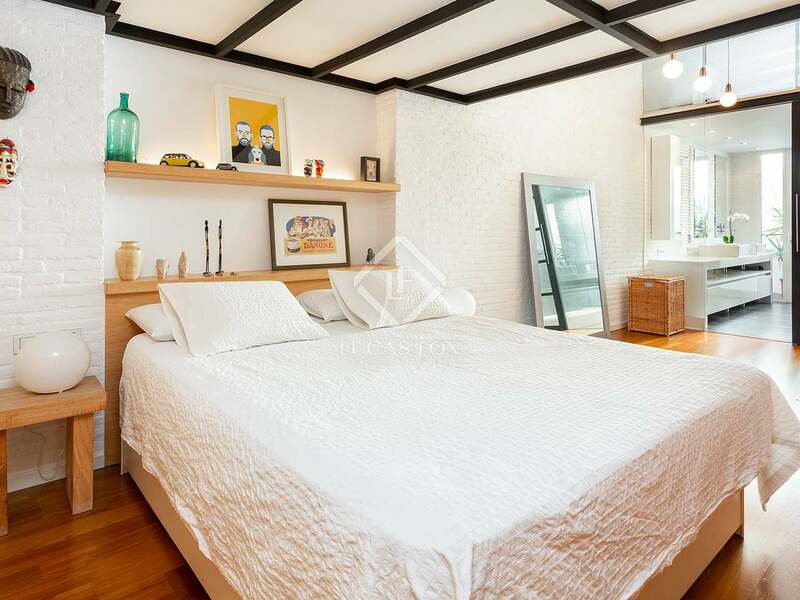 There is a very pleasant double bedroom with an ensuite bathroom and a dressing room. 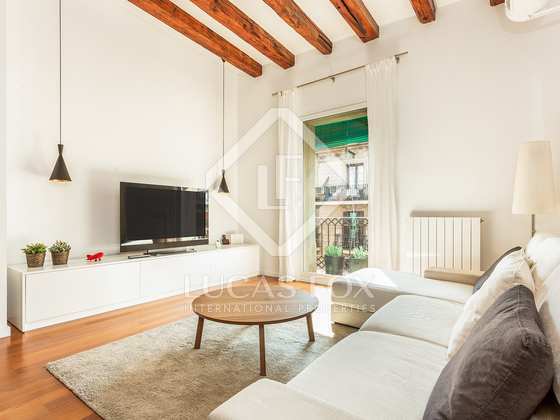 The property has a second bathroom and a fabulous mezzanine of approximately 50 m² divided into 2 rooms for use as desired. 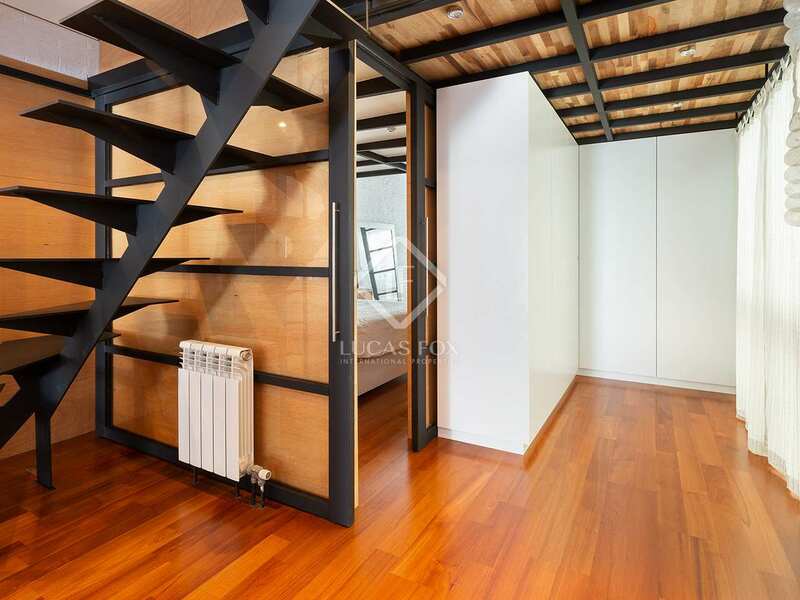 This mezzanine area would be ideal for use as a guest bedroom for example. 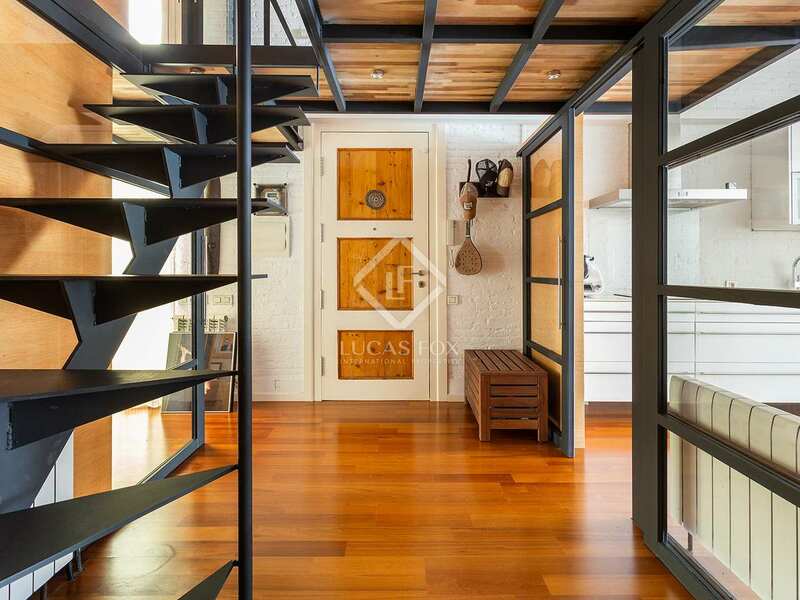 Ideal for anyone looking for a unique, modern home with a very special character. 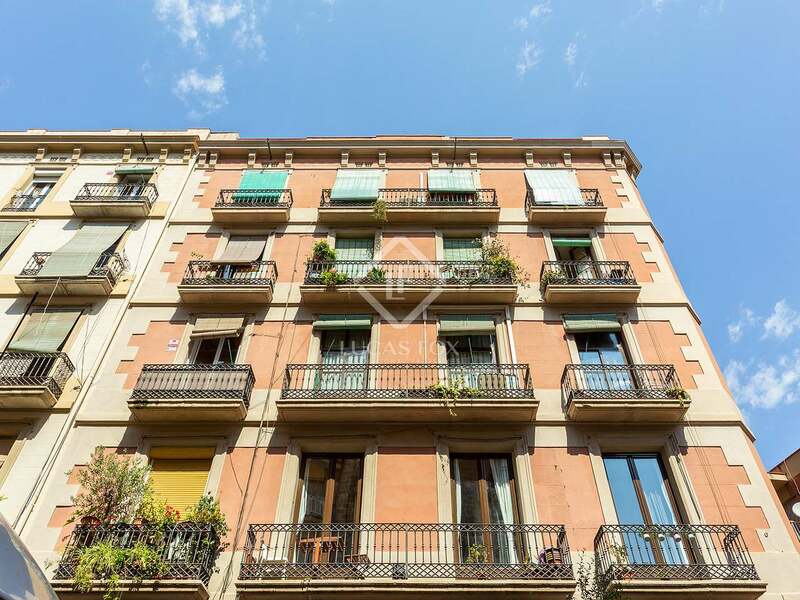 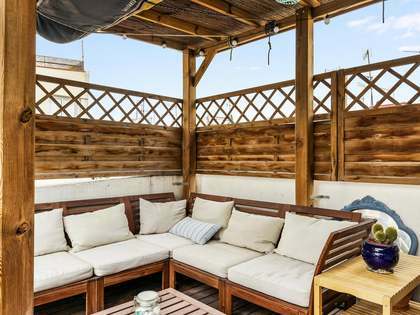 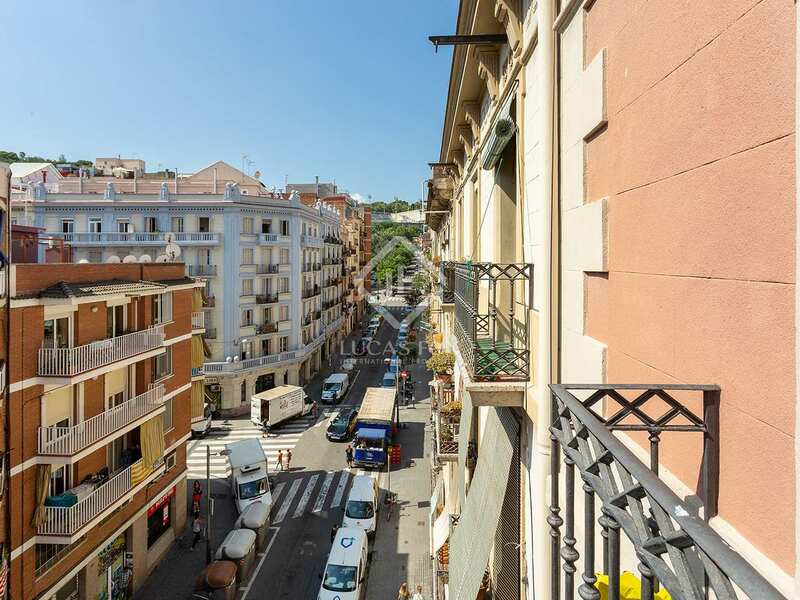 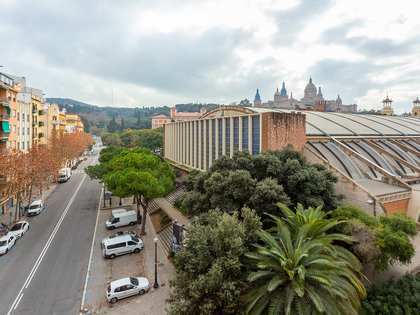 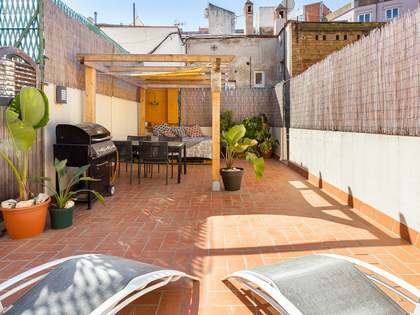 Poble Sec is a quiet, mainly residential neighbourhood of Barcelona, situated close to the sea and extending from the foot of Montjuïc to Avinguda del Paral·lel. 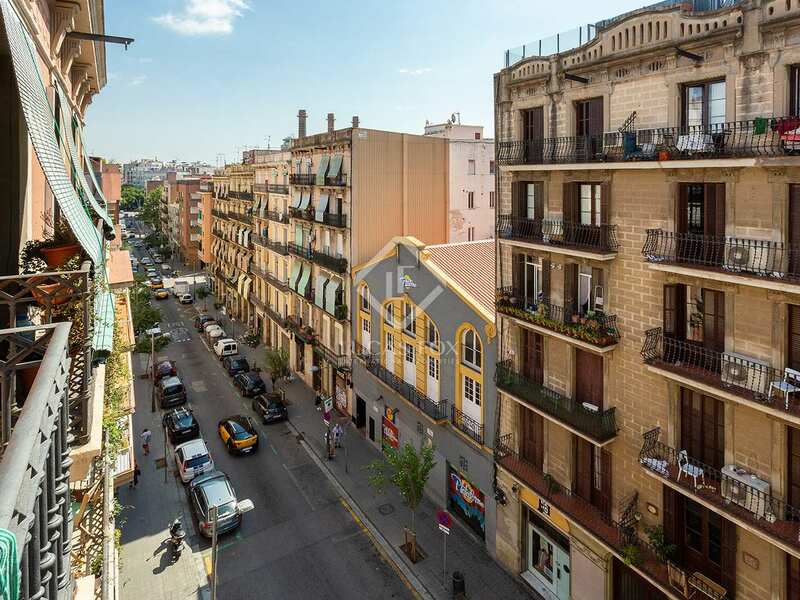 This area of the city is best known for its long-standing tradition of entertainment and the world of theatre.